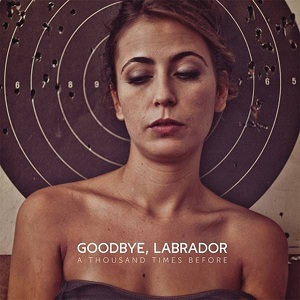 Goodbye Labrador are a band that consists of members from different cities - New York, Prague and Barcelona. The band formed in 2008 in Barcelona, and in 2010 recorded and produced their debut album in New York, They started work on this new release in 2011 in Lisbon, so they really are an international band and rely on the internet to let them share ideas etc using things like Skype. First of all the press release for "A thousand times before" describes it as the band's new album. Unfortunately I can't agree with that description - there are only 6 songs with a running time of just 24 minutes which makes it way too short to deserve to be called an album - even in the days of Vinyl that would all fit on one side of the record. As far as I'm concerned this is an EP - nothing more. The music is guitar-driven Indie rock with nice smooth vocals. The songs are well written and are quite catchy and it's definitely a very listenable album. Well worth checking out. The best song in my opinion is "Sirens" - it's got a great bass driven intro and the whole song is very good. The whole EP really though is very good - if Indie rock is your thing then you certainly need to check out Goodbye Labrador.